Product prices and availability are accurate as of 2019-04-22 14:45:35 EDT and are subject to change. Any price and availability information displayed on http://www.amazon.com/ at the time of purchase will apply to the purchase of this product. Flower Details:	White. Small. Terminal spike. Racemes Foliage:	Blueish-green, purple, reddish, green. Ovate. Fragrant. Sow Outdoors:	Surface. First sowing: start of spring. Second sowing: Summer. Spacing 8 to 12 inches (20 to 30 cm). Sow Indoors:	Use peat pot. Germination time: one to six weeks. Temperature 65°F (18°C). Five or six weeks in advance. Transplant outdoors about a month after the last frost; temperature should not drop below 65°F (18°C). Requirements:	Full sunlight. Good drainage. Soil pH 5.5 to 6.5. Rich soil. Summer feed. Regular watering. Pinch tips when plants reach 6 inches (15cm). Harvest leaves before flowering occurs. How to grow:	It is probably best to start growing Basil plants off indoors, so this about five weeks before mid spring. 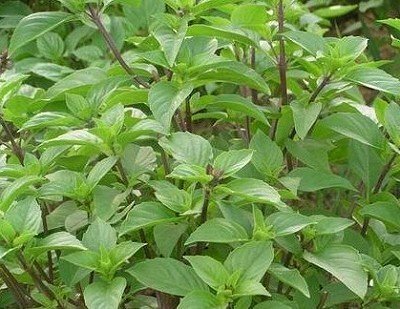 Seeds of Basil should be sown on the surface in the light and at a temperature of 10 to 15 degrees Celsius (about 65 degrees Fahrenheit). It should take anything from one to seven weeks to germinate the seed. 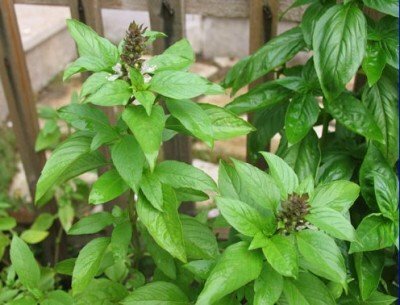 Once ready transplant the basil into your herb garden in the spring at about 25cm apart; ideally Basil should be grown in sunny areas that have a rich soil (pH 5.5 to 6.5). 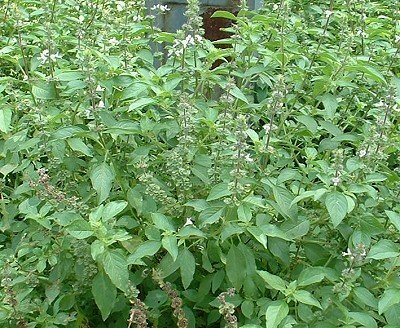 Name:	Basil (White) Quantity:	400 Bulk Seeds Height:	12 to 50 inches (30 to 125 cm). Growing Region:	Zones 4 to 10. Flowers:	Summer.